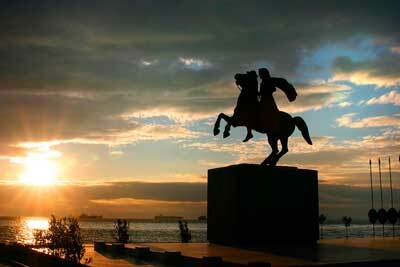 Thessaloniki is the second larger city of Greece and the capital of Central Macedonia. The city was voted as the 5th best city of the world and amongst the best tourist destinations. It hosts annually a large number of cultural events such as the international Thessaloniki film festival and one of the world’s most important exhibitions the International Trade fair with both great commercial and political significance. If to all that we add the fact that it has the Aristotle University the biggest in the Balkans along with its intense and vivid nightlife and the numerous sights you can understand why visitors keep on returning to Thessaloniki. Many reason can bring you to Thessaloniki also known as the crossroad of the Balkans, but there is only one suitable and low-cost way to get around the city immensely and under the best conditions. Of course is no other than Van hire www.vanrental24.com it will make your life easy and it is guaranteed that you going to love every single part of your trip. 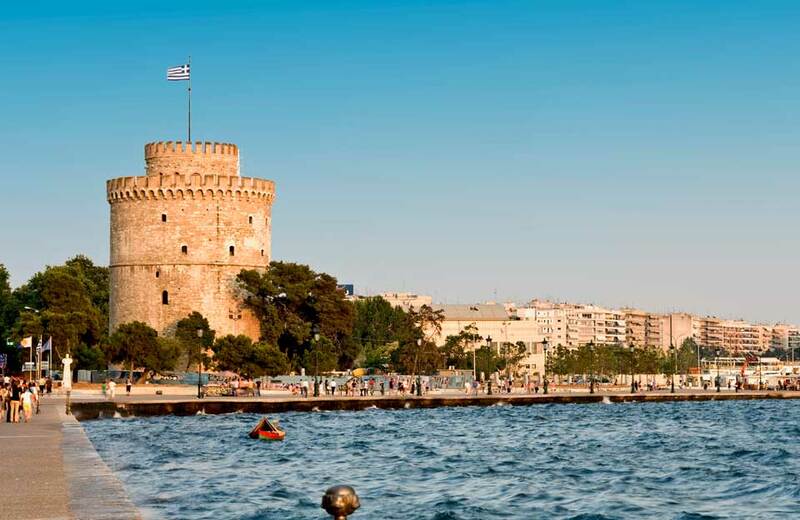 If you want to get this right start your tour from Thessaloniki’s most famous landmark the White tower. Until you reach your destination with your 12 seat minivan rentals take a deep breath and enjoy the ride while this wonderful city unfolds in front of you. The history of the White Tower, is actually bathed in blood. In 1826 Ottoman Sultan slaughtered rebellious janissaries. Continue your drive towards The Kastra (Castle ) also called Ano Poli. Important Byzantine churches and timber framed houses with subtle colours are scattered all around, from up there you will enjoy a great panoramic view of the city. Your eyes are already filled with historical images and because there is no time like the present go on to the Palace, the Arch & the Rotunda of Galerius three major Paleohristian monuments also a Unesco world Heritage site. The ruined Palace of Galerius contains mosaics, columns and remains of walls. The arch of Galerius is an indelible celebration of the Victory over the Persians. The Rotunda of Galerius was meant to be his future Mausoleum but he died before he had the chance to see it finished. Final sightseeing stops with you minivan rentals must be both the Church of Agios Dimitrios and the Archaeological Museum The imposing 5th century structure honours the sacrifice of Agios Dimitrios’ who was killed on orders of the Emperor Galerius one of the most merciless persecutors of the Christians. Have a quick coffee in one of the numerous cafes and continue to the Archaeological museum with major prehistoric, ancient Macedonian and Hellenistic finds. This is the most popular destination for tourists during the summer time. In Halkidiki you can find amazing blue-green crystal waters, wild nightlife and calm family resorts, its a place for everyone to spend relaxing holidays. From Thessaloniki it is about 1-1,5 hours drive to the most famous resorts of Kassandra penisula, the most car/van rental vehicles include GPS so you can navigate easily to your destination. On the second penisula - Sithonia - you can find more calm and not as much nightlife as in Kassandra, furthermore you can find some of the best beaches of Greece. The best way to visit Halkidiki if you are a family or a group of friends is with a minivan, there will be plenty of space for all your baggages and even a place to sleep overnight during your adventourous explorations. On a daily bases the city floods with visitors, foreign students, businessmen who have made Thessaloniki practically their second home, and even though Thessaloniki is a walkable city if you are to use a vehicle traffic most of the times can be really hectic and there is not a worst thing than being stuck in traffic with a vehicle lacking of equipment. For those of you who demand only the best and you do not want just a vehicle but a mean of transportation with multiple possibilities Van hire was created just for you !It is sure that is never going to let you down and is an affordable but yet a prestigious solution like the ones that a businessman really needs, because liability is the beginning and the end of a successful business trip. Even for a group of students which most of the times faces the common problem of a low budget a 12 seat minivan rental is indeed a really inexpensive idea because if expenses are share a minivan is by far cheaper than any other mean of transport.